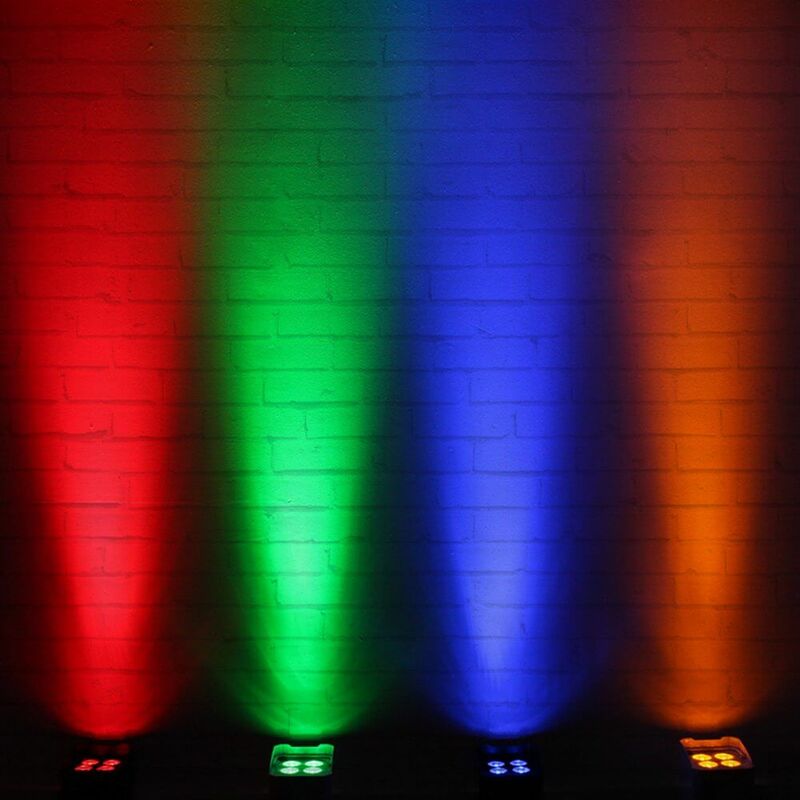 Rapid QB1 HEX is a portable battery powered uplighter outputting ultra-smooth colours from rich saturated hues to subtle pastel shades. 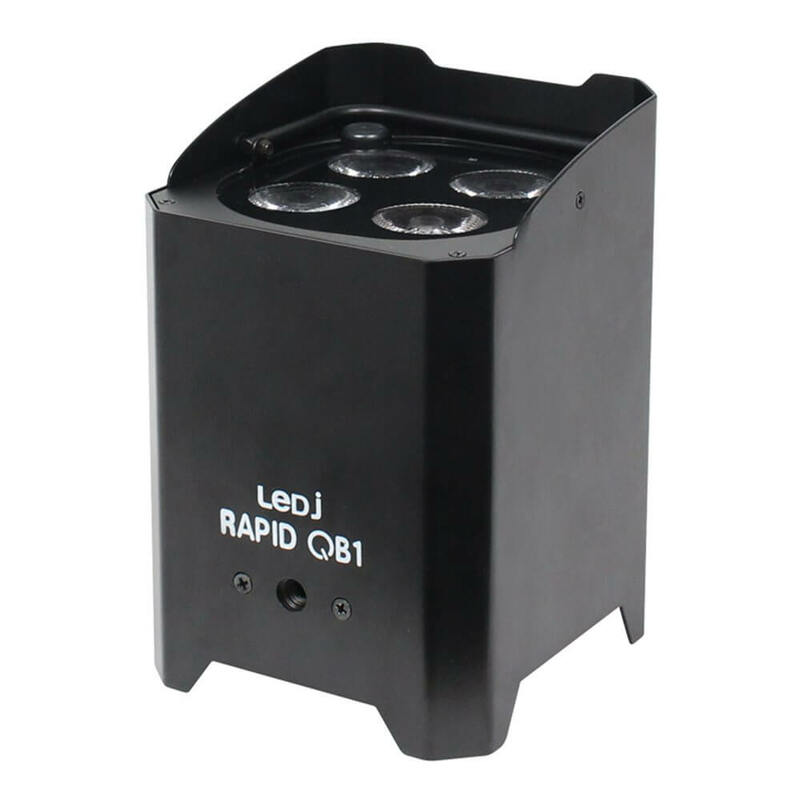 The compact and robust housing design makes this fixture extremely portable and easily concealable. 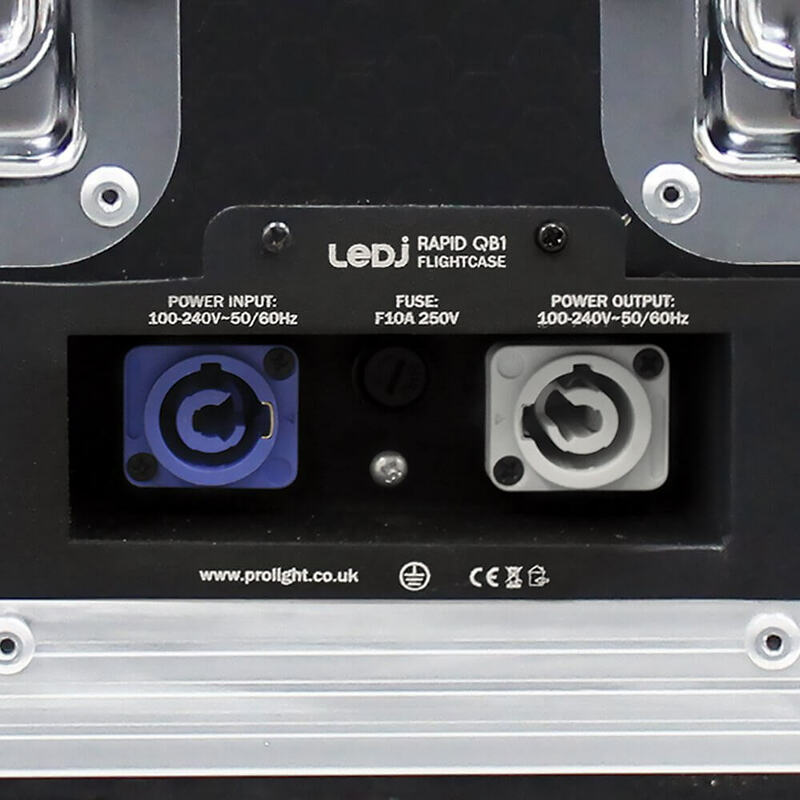 The internal lithium battery has autonomy of up to 18 hours in single colour mode and up to 5.5 hours of colour fading and chases, while the charging time is only 5 hours. 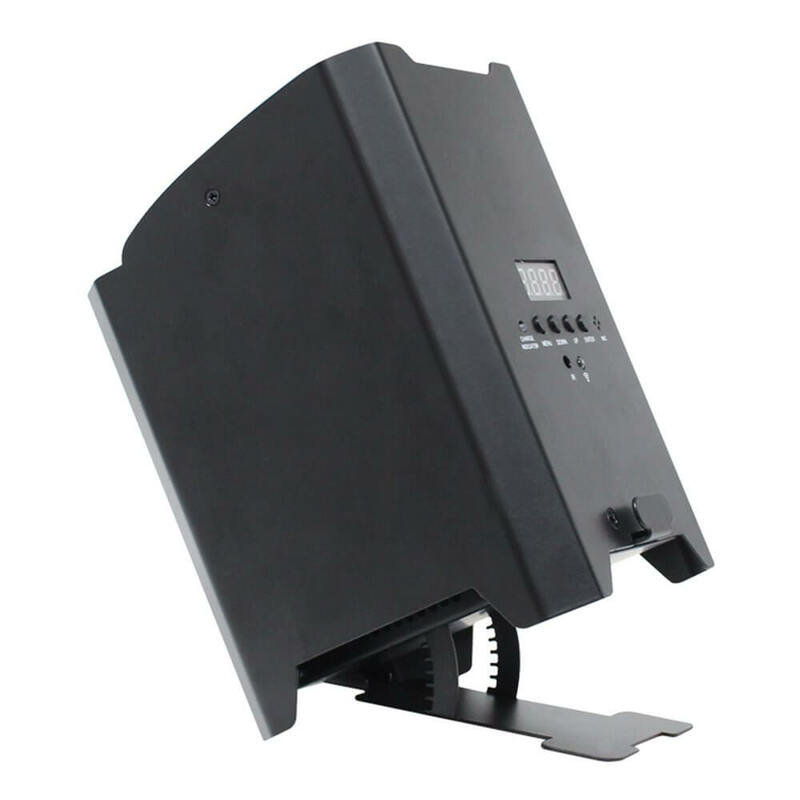 The light source is composed of 4 x 12W high-power RGBWAUV LEDs and the extractable foot allows you to adjust the tilt angle. 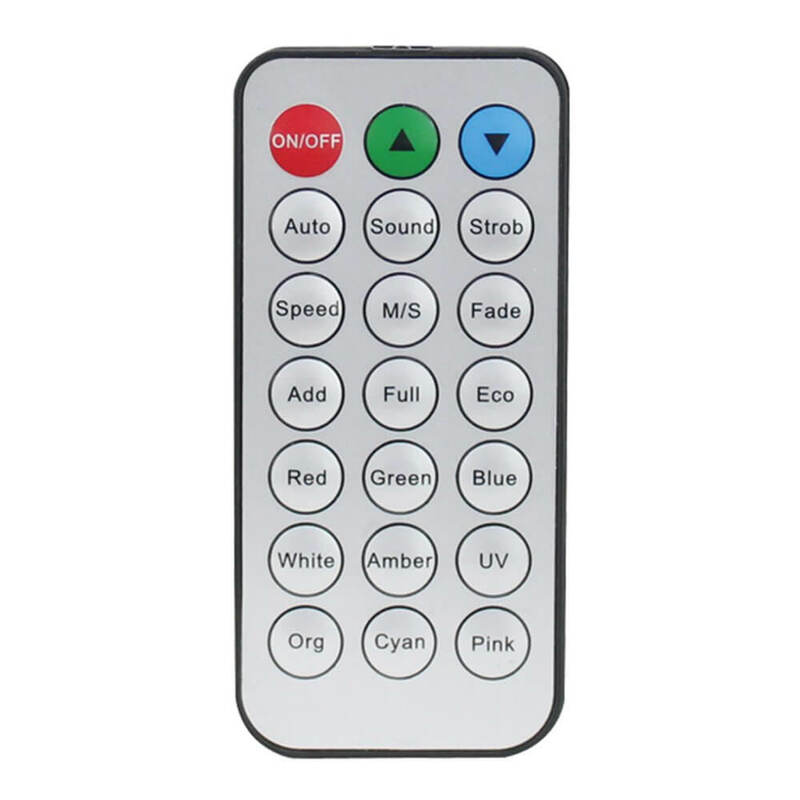 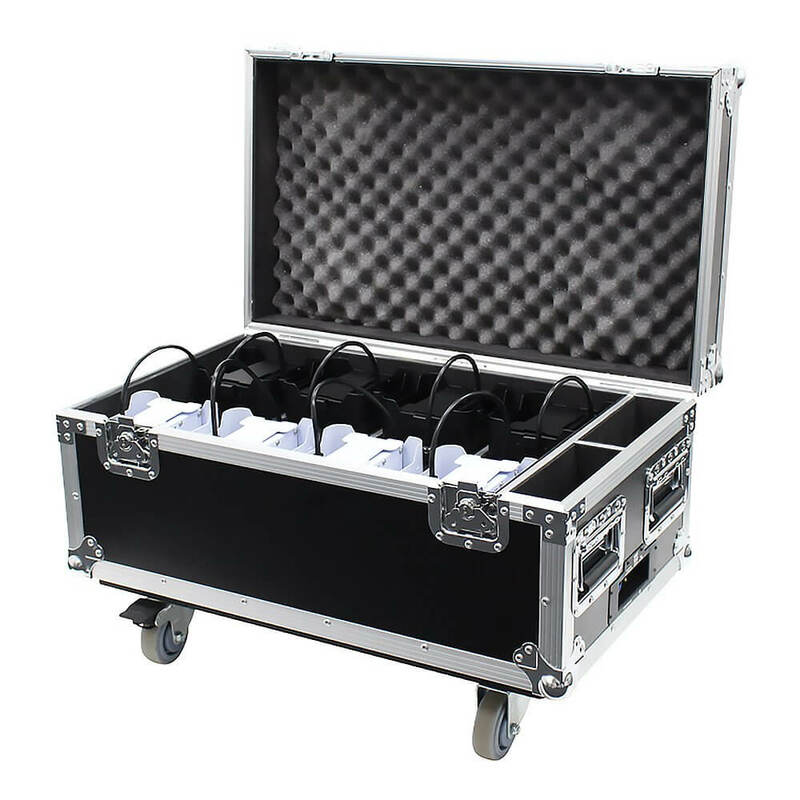 The onboard wireless transceiver makes for a truly cable-free operation and is W-DMX compatible. 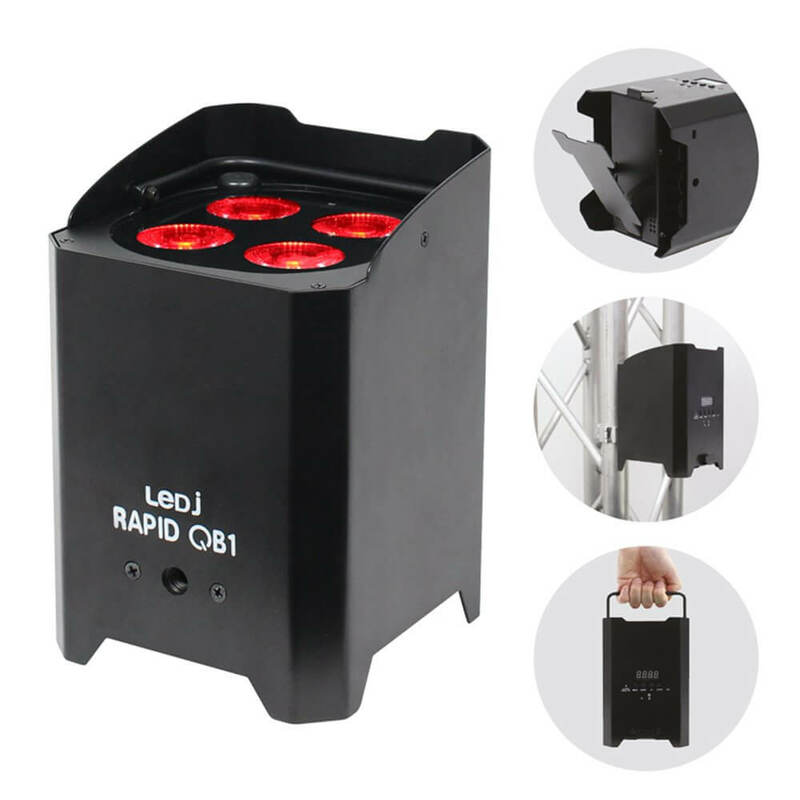 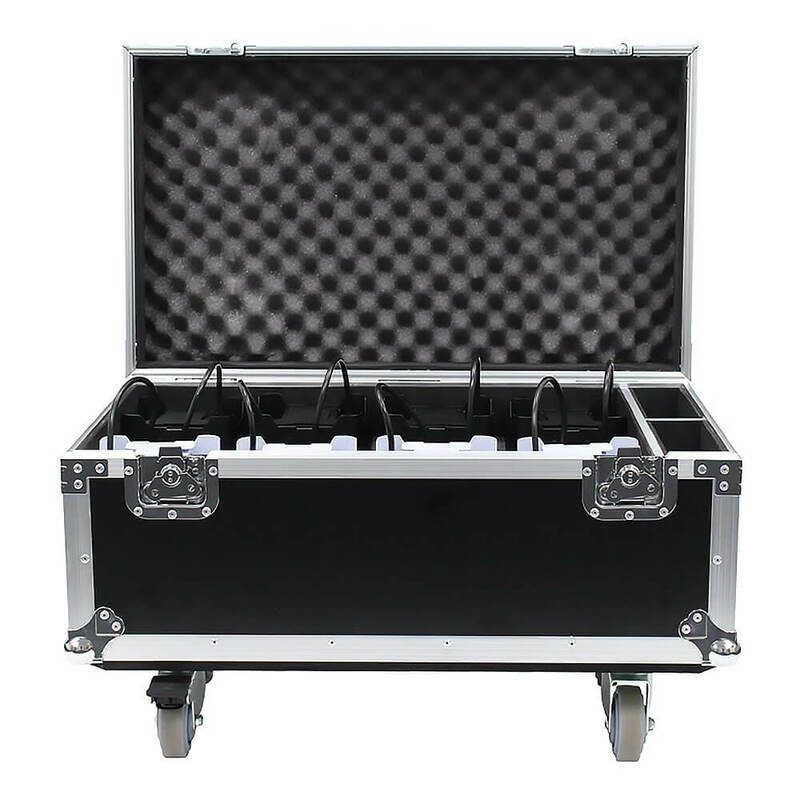 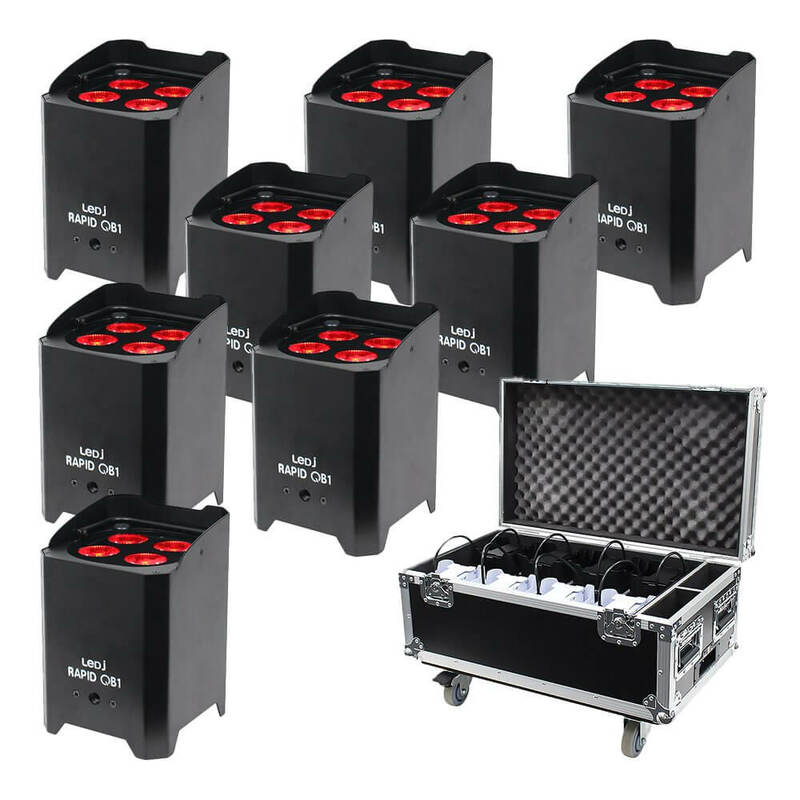 This professional flight case features 8 compartments for transportation and charging of the LEDJ Rapid QB1 series. 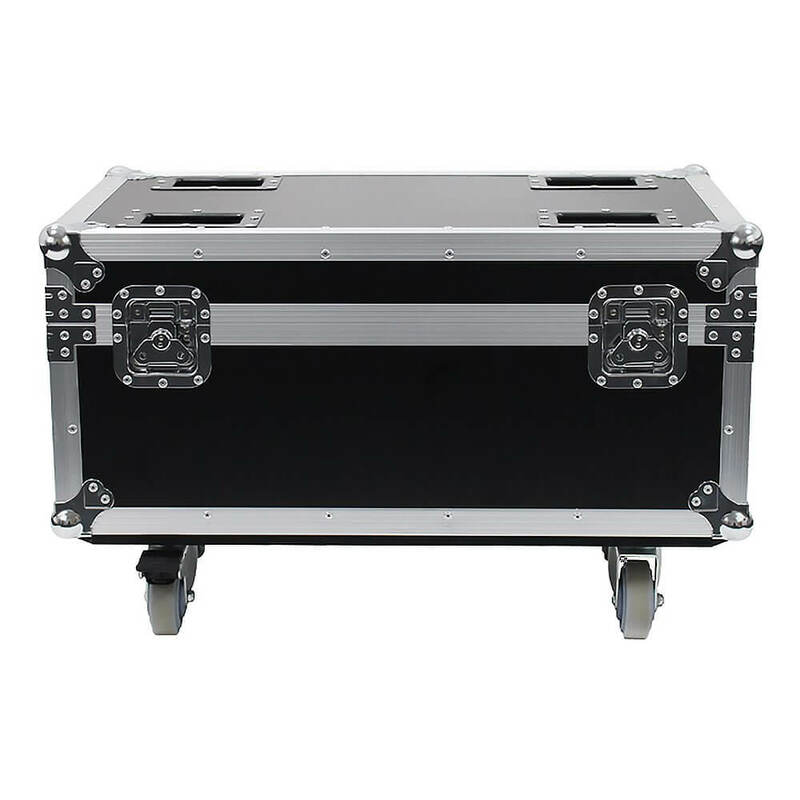 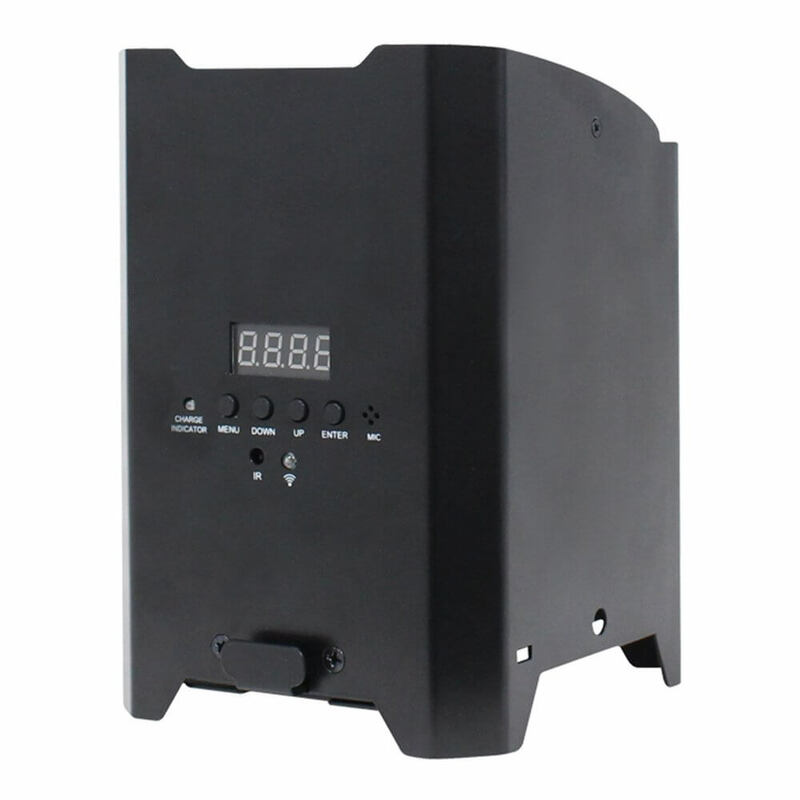 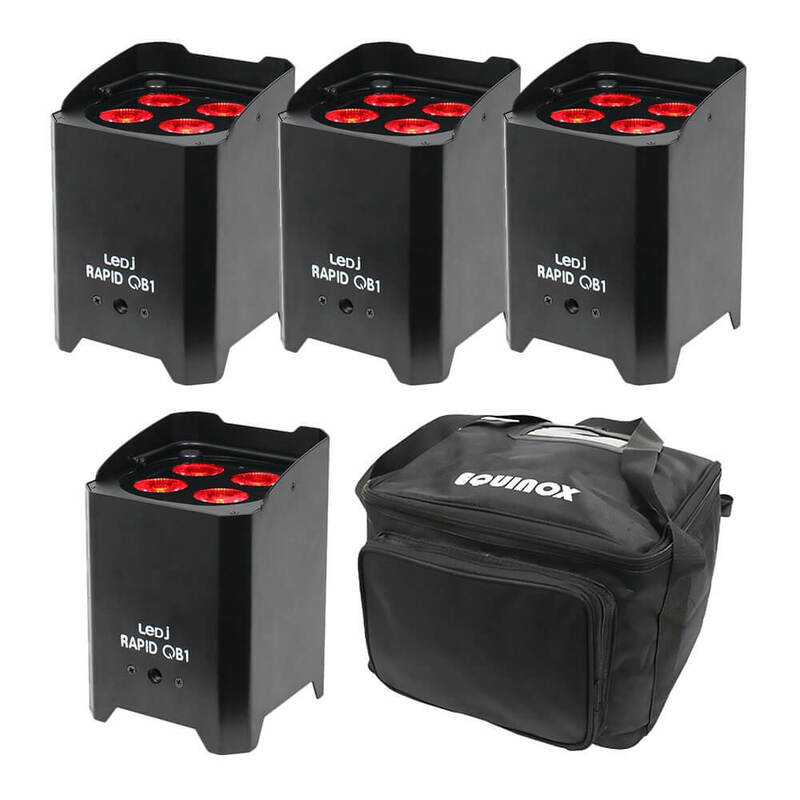 Two additional accessory compartments are also included to hold power and DMX cables.